[Updated for 2019] Princeton Review vs Kaplan GMAT - Which is Better? 1.3.5 5. 2 GMAT Prep Textbooks + More! 1.4 Which GMAT Course Should I Get – Kaplan or Princeton Review? Preparing to take a test can be daunting, and preparing for the Graduate Management Assessment Test (GMAT) isn’t any different. The GMAT is an examination you need to take in order to get into a graduate management program, such as an MBA. These tests assess skills such as qualitative reasoning, verbal reasoning, integrated reasoning, and analytical writing. That’s a mouthful – and it is definitely a lot to prepare for. You’ll want to make sure you have all the materials you need to study and get ready to pass this test. However, everyone learns and studies in different ways. Some people like to write notes, others watch lectures, some use flashcards, and some prefer practice exams. To prepare for the GMAT, you’ll want to choose the best GMAT prep course for you. 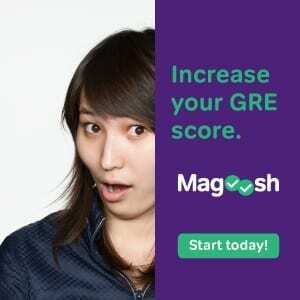 Lucky for you, I’m here to show the differences between the Kaplan vs Princeton Review GMAT prep courses, so you can find the right way to prep for the big test – at a cost that is in your price range. Let’s get into it the details! The Princeton Review is definitely the most comprehensive of the two courses in question. They make sure their teachers have not only a proven expertise in the format and material for the GMAT, but look for teachers with a sense of humor, to make the process more relatable. Their teachers also go through over 40 hours of training, so you’ll be getting the best GMAT prep teachers out there. You might notice that it is more expensive than some GMAT prep courses (however, much cheaper than Kaplan), but the Princeton Review GMAT course provides you with the most materials you need to pass the test, such as test questions, practice exams, and online textbooks. Check out more details below. With over 800 GMAT practice questions, the Princeton Review helps you get used to question format and learn the material to prepare for the exam. Taking practice GMAT exams is an important part of test-prep. By taking practice exams you get used to how questions are asked, you can find out how long it takes you to take the exam, and you can become a better test-taker all around. Thankfully, the Princeton Review GMAT prep course offers 10 variations of a GMAT practice exam to make sure you are prepared come test day! If this is your second go-around at the GMAT, you’re likely buying a prep course to improve your scores. 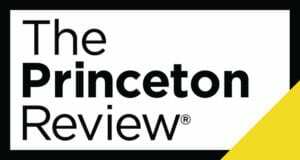 Lucky for you, if you did not see a score increase, Princeton Review will offer your money back or a course retake at no charge! Another great thing about the Princeton Review’s satisfaction guarantee is, if you don’t feel prepared going into the exam – the same rules apply! You can either get your money back or a second try at the course at no charge! Princeton Review recognizes that everyone learns in different ways. Because of this, there are many GMAT prep course options to choose from by Princeton Review. While the price increases with each option, it is nice to know that you can learn at your own pace for a fraction of the cost of competitors, like Kaplan. Princeton Review GMAT books are all online, making it easy to test-prep anywhere you’d like. Staying late at the office? Headed to a local library? Travelling? Want to study with a friend? No need to lug your study materials around like you did in college – the Princeton Review books for GMAT prep are ready to go on any screen. While all these features sound great, I am aware that there are many other GMAT prep courses to choose from, so making a decision can be difficult. Let’s see how the Kaplan GMAT prep course stacks up against Princeton Review. The Kaplan GMAT prep course has a lot of the same features as the Princeton Review, but it comes with a cost. While the starting price for Princeton Review comes in at $499, you’ll be shelling out $799 for the basic Kaplan GMAT experience. Is it worth it? This course offers a few features that the Princeton Review does not offer – like the Kaplan Official Test Day Experience. This program allows students to take practice GMAT tests at an actual testing facility – an experience unique to only Kaplan. But, how do the other features stack up to the Princeton Review? While the Princeton Review offers 800 test prep questions, students get a little more room for preparation with the 900 test questions from the Kaplan GMAT prep course offers. That is 100 more chances to prepare yourself for what to expect on exam day! While the Kaplan GMAT prep course offers more test prep questions than Princeton Review, you’ll get one less chance at a GMAT practice exam with Kaplan. You might feel like the extra prep questions offset one less practice exam, but for those who aren’t great test-takers this can be a huge hit in their GMAT prep, as practice exams are a fantastic way to prep. Like Princeton Review, Kaplan offers the “Kaplan Higher Score Guarantee.” This ensures an increase in your GMAT score, or your money back (or a second try at the course at no charge – if you’re feeling up to it)! However, there isn’t a mention of if you feel unprepared for the exam after completing the course – something the Princeton Review addresses in their guarantee. Similar to the Princeton Review, the Kaplan course comes in several formats. But don’t think that the self-paced option is as wallet-friendly as Princeton Review’s. The starting cost for the Kaplan self-paced option is $799. For some, this price can break the bank, and when a degree is already costing you a pretty penny – this definitely is a huge thing to consider. 5. 2 GMAT Prep Textbooks + More! One great feature of the Kaplan course is that not only do you get two physical Kaplan GMAT prep books, you will also receive an MBA submission guide to continue to helping you through the process of working to obtain your degree from start to finish. Which GMAT Course Should I Get – Kaplan or Princeton Review? So, what do you think? To me, it seems like the Princeton Review is a more comprehensive prep course, and it comes at a lower cost. If money isn’t a concern for you, and you want the unique features of the Kaplan prep course (like physical textbooks, the MBA submission guide, 100 extra prep questions, and the Official Test Day Experience) then Kaplan might be the choice for you. Now that you’ve got the details and compared the courses – it is time to hit the books! Best of luck on your GMAT journey!